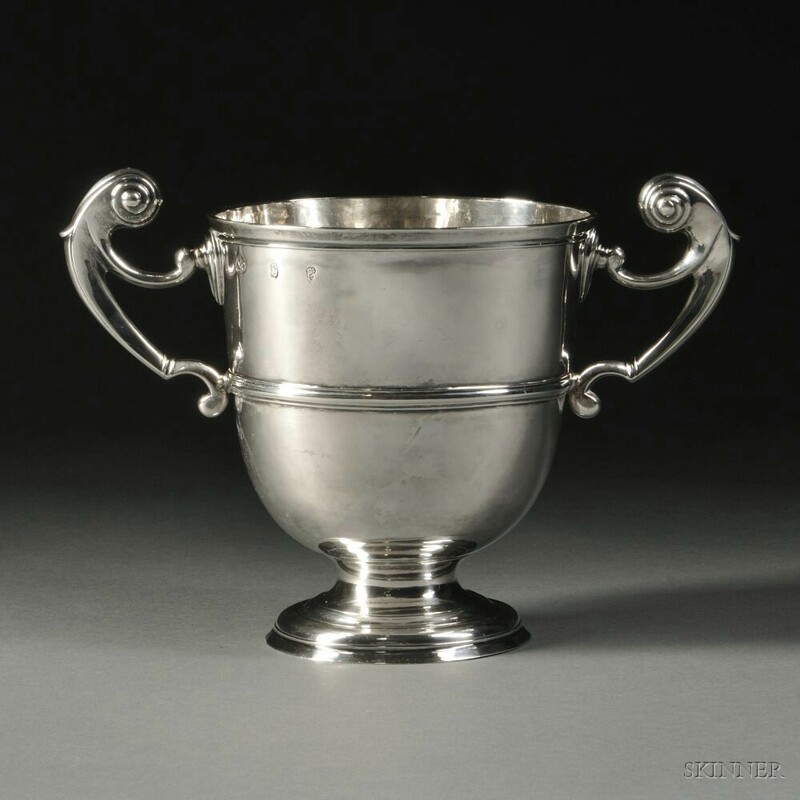 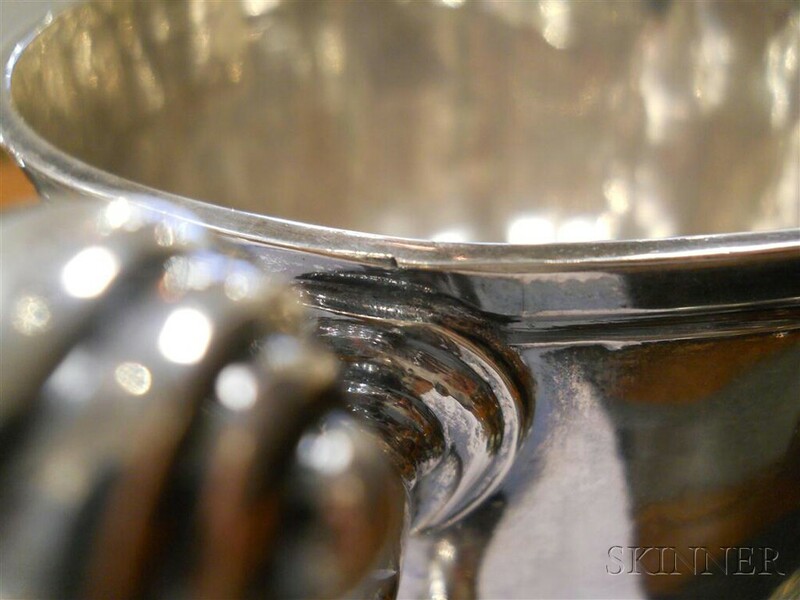 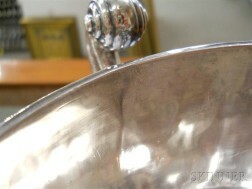 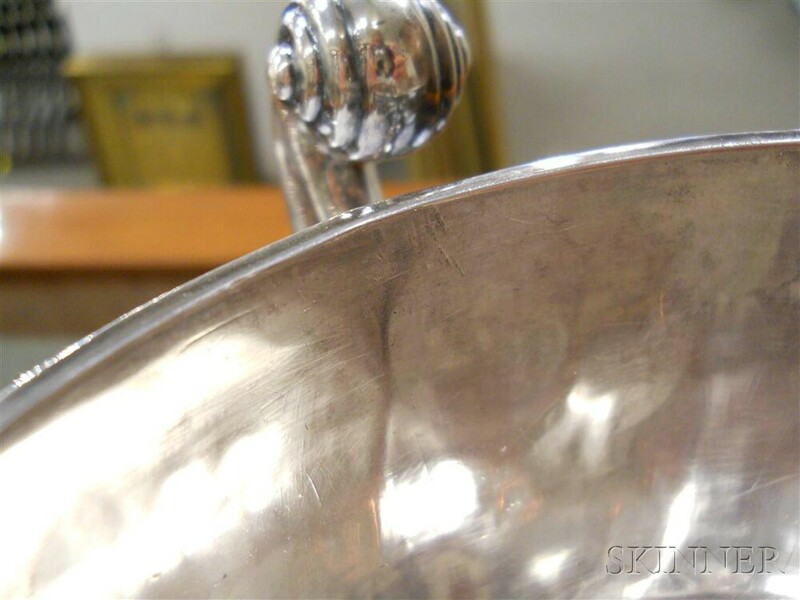 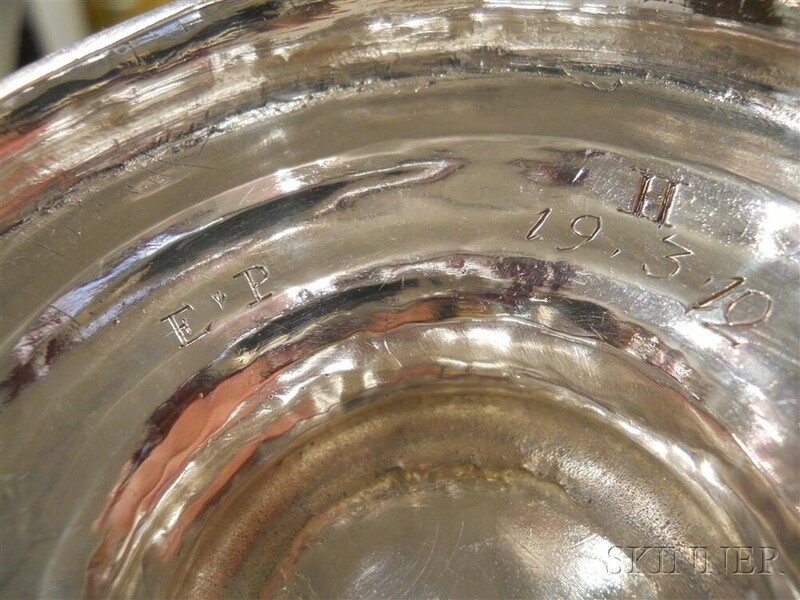 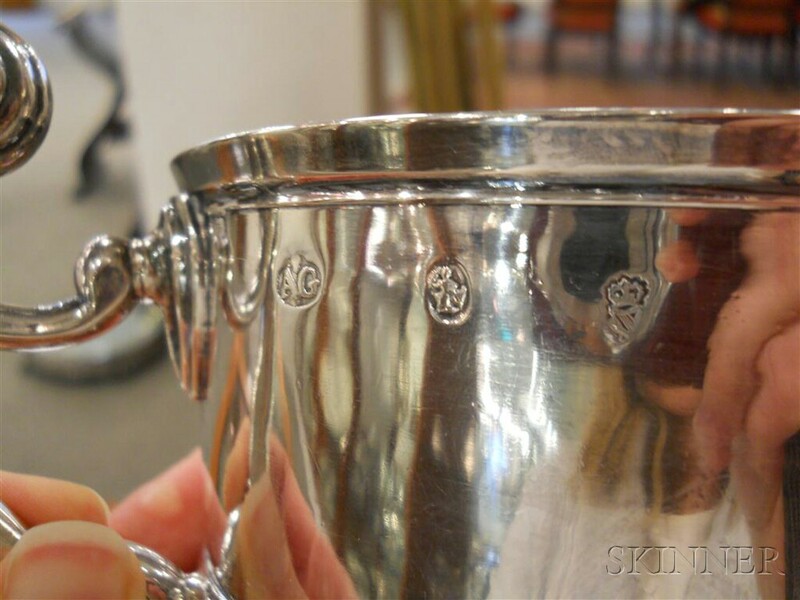 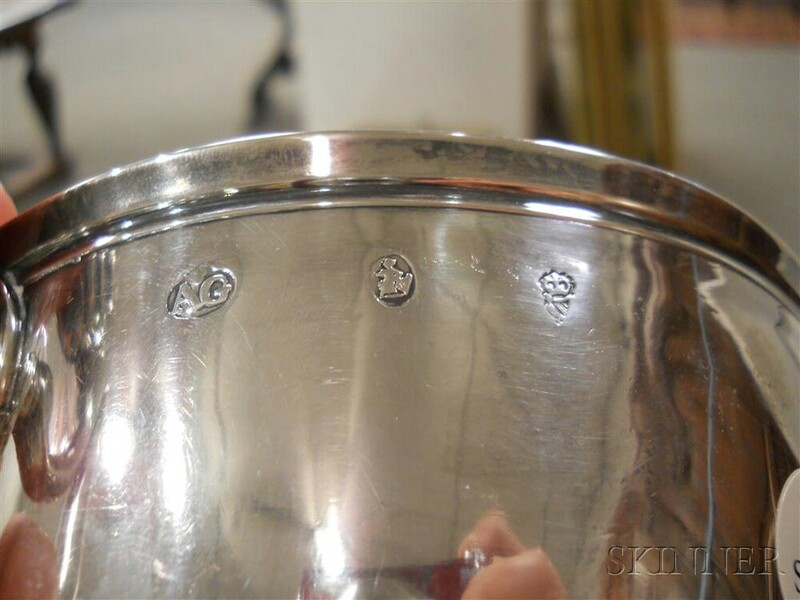 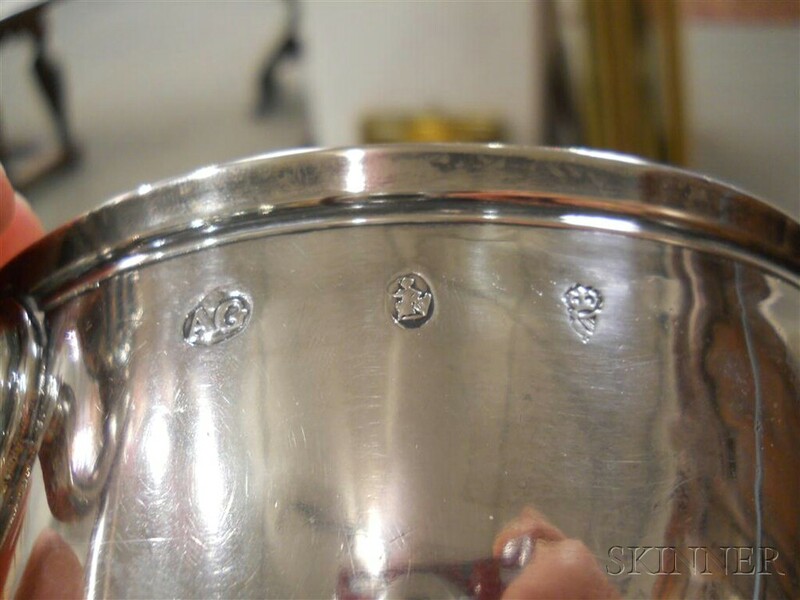 Irish George II/III Sterling Silver Two-handled Loving Cup, Dublin, lacking date letter, maker's mark "AG" probably for Andrew Goodwin, with two scrolled handles and an applied girdle on a stepped circular foot, various engravings to underside of foot, ht. 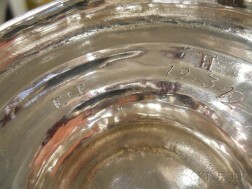 6 1/4 in., approx. 18.2 troy oz. 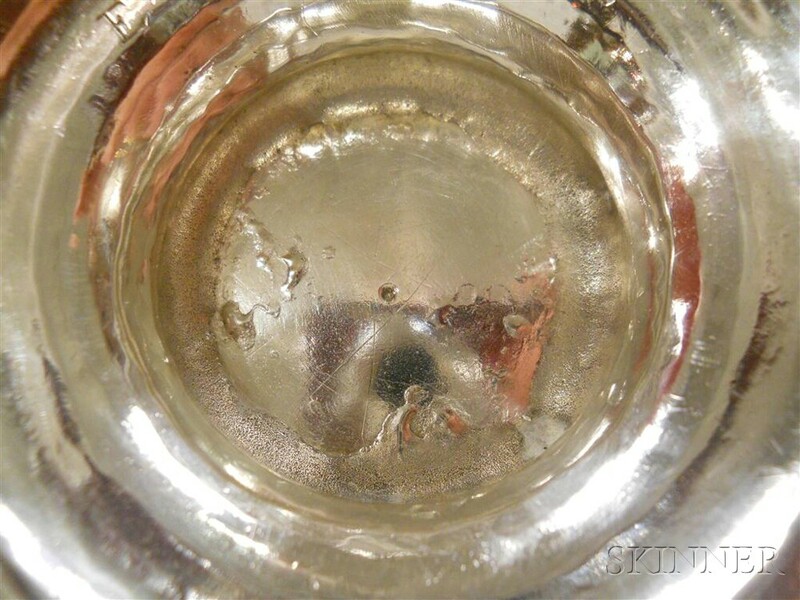 Repair to socle, probably from flattening out over time. Faint band of pitting to body above girdle. 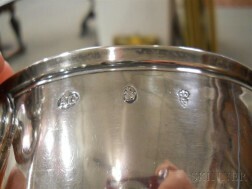 Possible monogram removal although it is not obvious and silver is still thick. 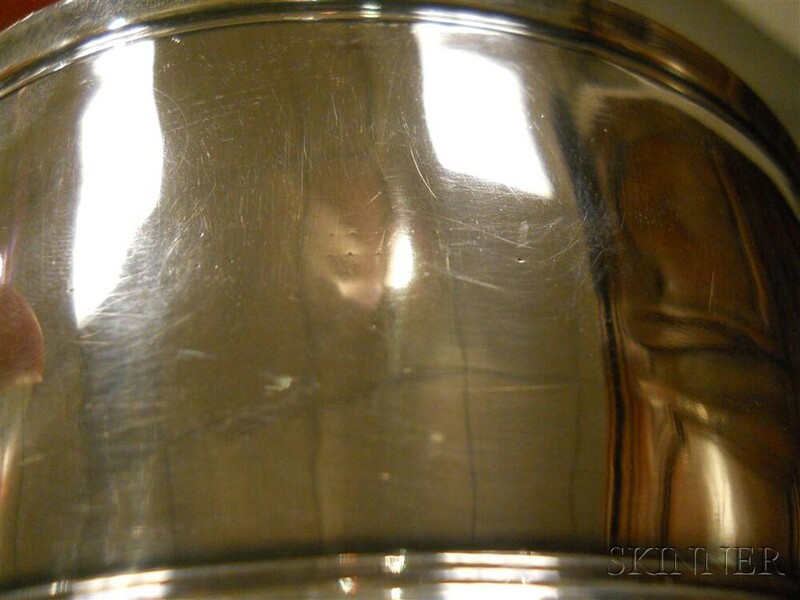 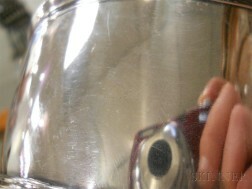 Rough seam to rim of body.